Sri Reddy Shockingly Accused Sachin Tendulkar !! Her Statement Made Everyone Angry !! South Indian actress Sri Reddy is making news again. The actress has been the talk of the town ever since she exposed big names from the Tamil and the Telugu film industry accusing them of casting couch. The actress has accused actors like Pawan Kalyan, Raghava Lawrence, Srikanth and director AR Murugadoss. The actress further revealed that the above names have promised her work and misbehaved with her. Sri Reddy has once again made allegations yet again, and this time around, on the God of cricket, Sachin Tendulkar. Sri Reddy has made a startling revelation about a relationship between a Tollywood actress and one of the most respected Indian cricketers of all time. The actress recently took to Facebook in a lengthy post to make the revelation about Sachin Tendulkar and the Tollywood actress. After targeting Nani and Pawan Kalyan, Sri Reddy is back with yet another shocker. In a recent Facebook post, the controversial Tollywood actress targeted God of Cricket Sachin Tendulkar and Telugu industry actress. The fans of Sachin Tendulkar have condemned controversial actress Sri Reddy for her sensational comment on his alleged romance with Charmi’ng girl in Hyderabad. They call it a cheap publicity stunt. Sri Reddy kicked up a storm in the south Indian film industry through her controversial comments on some celebs including Nani and Raghava Lawrence. Many in the industry felt relieved after she kept silent for some time. Now, she is back in the news again through another sensational comment. Well, this post indirectly questions Sachin Tendulkar’s character as it gives an alleged hint of link-up between the master blaster and Tollywood actress Charmme Kaur. 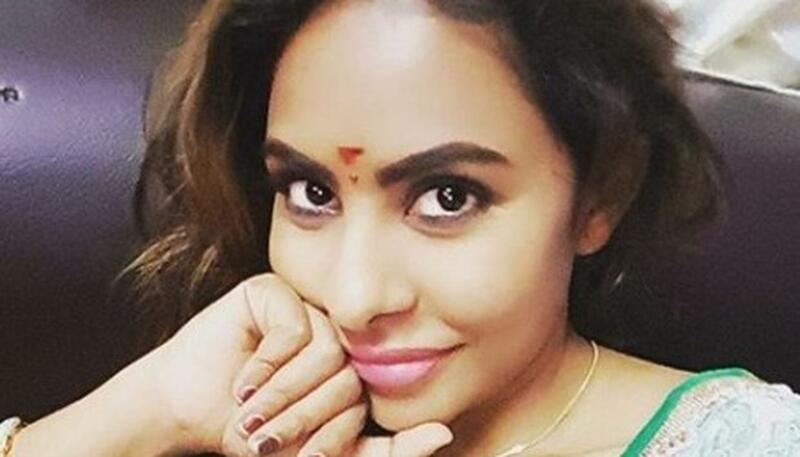 Eventually, the shocking claim of controversial Sri Reddy created major havoc on the internet. Fans of both the personalities didn’t like Sri Reddy’s comment as they trolled her badly on social media. It is known that Sachin Tendulkar is a non-controversial person and he is considered as god of cricket. Now, Sri Reddy has made a very controversial comment without any proof. Her remarks have deeply hurt the cricketer’s fans, who responded to her and condemned her for misusing his name for her publicity. Some of them said that they had sympathy for her, but she lost it with this comment. Do you think , Sachin, really that kind of Man ?? Let us know !! Previous article“Yogi Babu Will Only Do Movies As Hero Hereafter” The Actor Himself Clarifies On The Rumour !! Next articleAfter Long Time Oviya Opened On BIGG BOSS & Everyone Literally Shocked On What She Did ! !